In what potentially could have been a franchise changing move, it looked as though the Sacramento Kings were surprisingly on the verge of acquiring one of the off-season’s most coveted players outside of Dwight Howard and Chris Paul. The Kings offered Andre Iguodala a four-year, $56 million contract on Tuesday, one that caused Iguodala to really consider his options. Sacramento even appeared to be the front-runner to land him at one point throughout the day. But then the Kings showed why they’re terrible. For whatever reason, they pull back their offer to Iggy, wanting answers immediately. 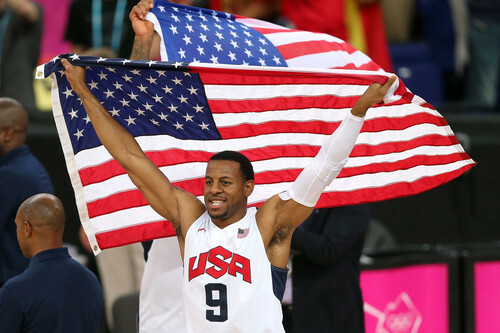 Something Iguodala wasn’t ready to do, understandably. This isn’t some pick-up game, Sacramento. These athletes are making decisions on where they’re going to spend the next 4-5 years. What their outlook may be in terms of being on a winning team, or what they stand to make financially. You can’t give them an ultimatum and make them decide before the end of the night. And what I don’t get is, what’s the rush? Who are you running to go sign with Iguodala off the board? You’re not getting Dwight or Chris Paul. You haven’t been mentioned in any Josh Smith talks, thank god for that. So where are you running to? Tyreke Evans? Why? So you can continue to have a losing culture without any leadership? We obviously don’t know for sure if Iguodala would have accepted their offer. But he’s the kind of guy a losing franchise could use. Someone who’s defense first, a quiet leader. Played with some of the game’s best on Team USA. He’s been in the playoffs. Knows what it takes. This could have been a step in the right direction. Instead, the Kings will still hope DeMarcus Cousins can change himself, instead of providing him someone to look up to. As for Iggy? I’m sure he’ll be fine.